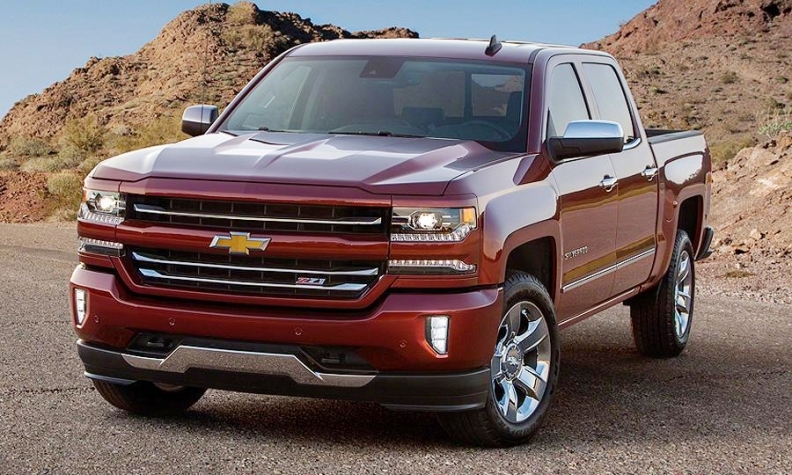 Upper trim levels of the 2016 Chevrolet Silverado, such as the Z71, will feature two rows of LED lights separated by an accent bar that stretches the width of the grille. DETROIT -- Chevrolet is scrapping the long-running dual stacked headlights on the freshened 2016 Silverado and giving the hot-selling pickup a mean-machine look. The stacked headlights -- a fixture on Chevy’s big truck since the 1980s -- have been replaced with smaller, more stylized units that recall high-tech electronics. The 2016 model also adds a more muscular hood and a new front fascia. The styling changes were planned to keep the truck, overhauled for the 2014 model year, fresh against Ford’s revamped F-150 and Fiat Chrysler’s Ram 1500, Chevrolet spokesman Tom Wilkinson said. Also, Nissan Motor Co. is just months away from rolling out a new version of the Titan pickup. The Silverado was last overhauled for 2014. 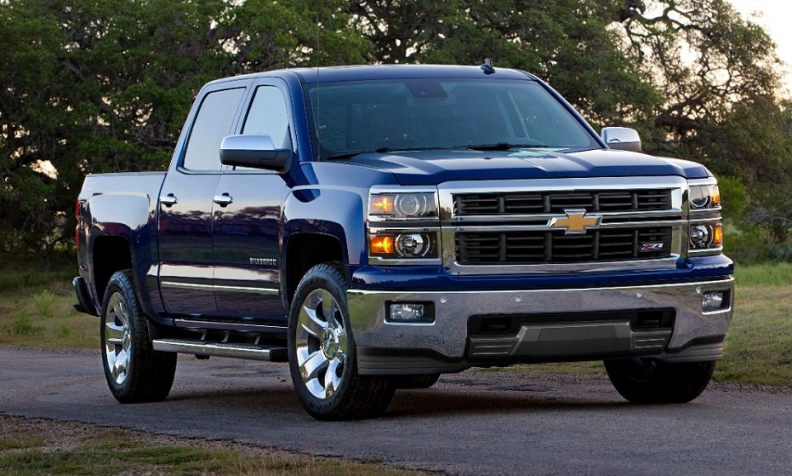 It's one of the most radical mid-cycle changes to the face of the Silverado. Some dealers, truck enthusiasts and journalists questioned whether the Silverado's 2014 redesign went far enough. Some critics griped that it looked too much like the truck it replaced. U.S. sales of the light- and heavy-duty Silverado have spiked 15 percent this year in a full-size truck market that has expanded 4.7 percent. Deliveries of the F series, including super duties and the redesigned 2015 F-150, have dropped 2.4 percent and Ram volume has climbed 4.3 percent. The lower fascia has also been redesigned and features smaller vertical fog lights. Mechanical and trim changes are few. 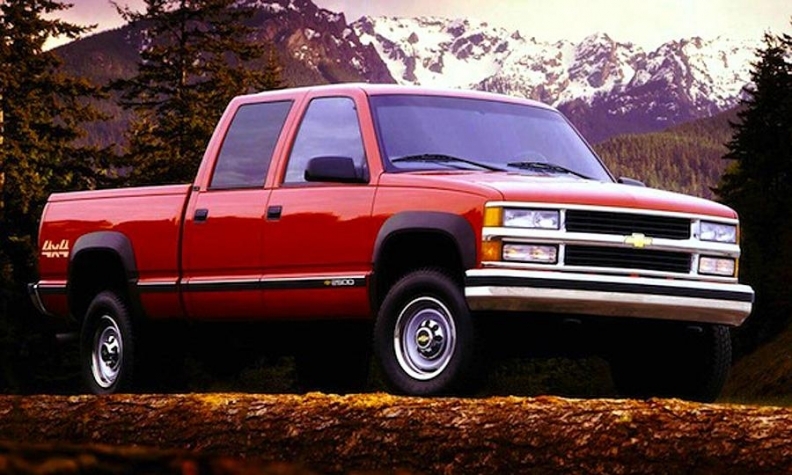 Stacked headlights have been a feature of the Chevy Silverado since the 1980s. Inside, the Chevy MyLink system has been reworked to support Android Auto and Apple CarPlay. It’s not clear if the Silverado’s platform mate, the GMC Sierra, will receive similar updates for 2016. GMC spokesman Brian Goebel said GMC is not yet releasing any information about the 2016 model.